Amy’s ‘Boone’ — one or two is all you need! 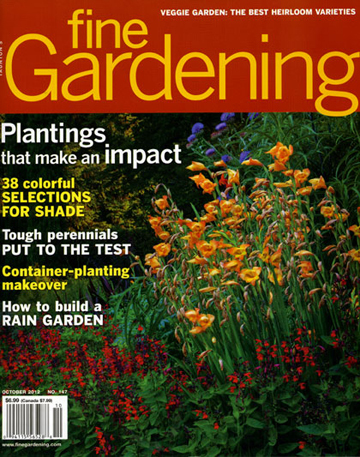 ‘Boone’ glows on the cover of Fine Gardening, Oct. 2012. Then the very next day the October issue of one of our favorite magazines, Fine Gardening, arrived with a big beautiful clump of ‘Boone’ on the cover! 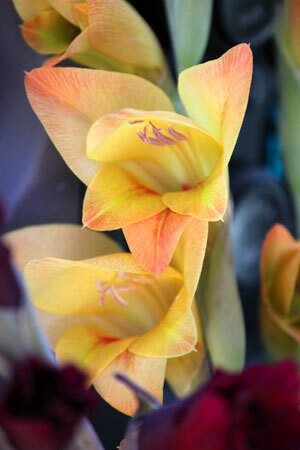 At first we didn’t recognize it because it looks vivid orange in the cover photo rather than the soft apricot it is in our gardens, but we know how hard it is to get flower colors just right. 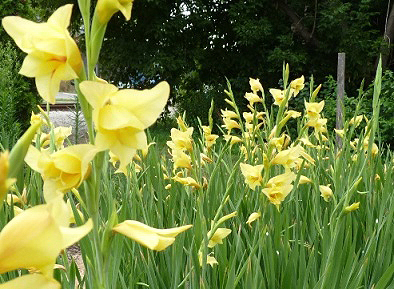 And although the accompanying article says it’s hardy in zones 8-10 only and will probably need staking — which is usually true of mainstream glads — ‘Boone’ is a hardy perennial here in our zone-6a gardens, and we never stake it. is also zone-6 hardy and never needs staking.